Since 1973, no mayor in Spokane has ever been re-elected. Until tonight. You could call it the Curse of the Garbage-Eating Goat: Ever since the garbage-eating goat statue was added to Riverfront Park during Expo '74, no Spokane mayor has won a second term. Even before the results came down, David Condon, at Barrister Winery, looked like he was having a good night. There was a wine glass in his hand. He shook hands and stopped for selfies with supporters. The wine flowed. A jazz band played in the background. And when the results did come down, it didn't come down all at once. Supporters holding smartphones let out the occasional boisterous "wooo!" as they saw the news. A giant grin spread across City Spokesman Brian Coddington's face. Minutes passed, and there was no sign of Condon. It was Republican Rep. Kevin Parker who read the results, to applause: Condon didn't just win. He crushed it. In the preliminary results, he was winning over 62 percent of the vote. Someone in the crowd chanted, "No more curse! No more curse! No more curse!" But then Condon appeared, before the crowd, and began his speech. "We've dispelled two myths tonight," Condon says. 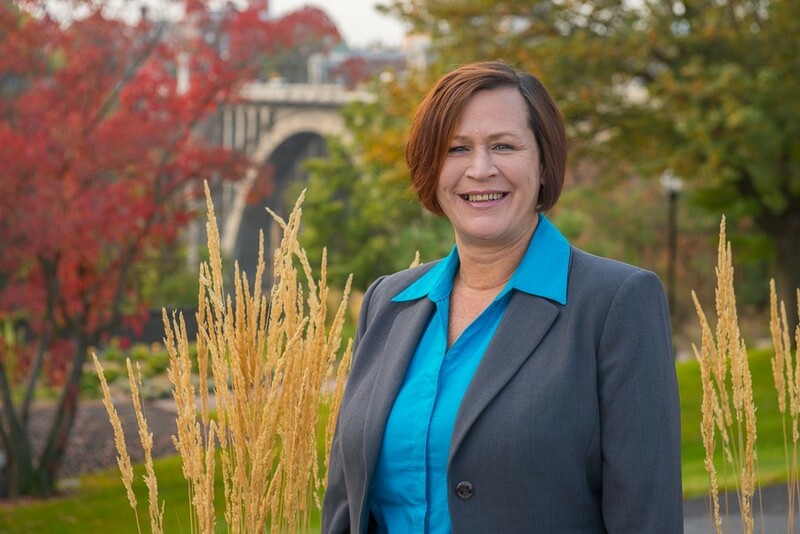 "The myth of the one-term mayor and the myth that Spokane is stuck in a rut!" And the crowd roared. Sure, he’s had missteps, but Condon has successfully identified what not to step in. He’s identified people and issues in his administration that could be problems and nipped them in the bud (mostly). Contrast the approach of Condon’s predecessor, Mary Verner, who kept Assistant City Attorney Rocky Treppiedi on the job despite criticism that his tactics were overly aggressive and even downright offensive. It wasn’t until Condon took office that Treppiedi was fired. Since then, his administration has shed people who posed a liability. In January, the Condon administration sent out a press release announcing that Jan Quintrall, the city’s director of business and development services, had resigned after revelations that she had a big-ticket lunch at the upscale Spokane Club. Previously, Quintrall had been a controversial figure in the Condon administration who clashed with the city council and others. Just months earlier, Planning Director Scott Chesney resigned after the mayor reportedly lost confidence in him. It was later revealed that Chesney was accused of over-promising things to developers. 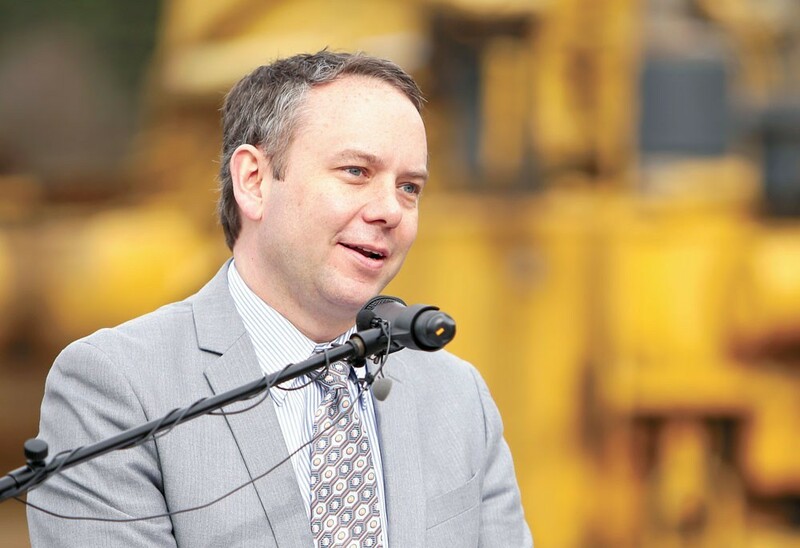 When concerns were raised that Alternative Service Concepts, a risk-management company hired by the city, was going too far to protect the city from liability, Condon took a second look at the city's relationship with the company. When the administration caught wind that three members of the police ombudsman commission were creating a hostile work environment, he hired an outside law firm that paved the way for their ouster. However, more recently, his firing of his handpicked police chief, Frank Straub, triggered a lawsuit. Condon, on the other hand, was up at 4 am when a snowstorm hit Spokane last winter. He’s successfully focused on streets, utilities, parks, decreased the time required to get a permit and other things that people expect from municipal government. In the September before the election, Mary Verner held a disastrous press conference that gave Condon an opportunity to pounce. Now in office, Condon has held scripted press briefings, watching what he says and not repeating the mistakes of his predecessor, although he came quite close last week. Condon remained on message, pivoting to discuss the strengths of his administration even when things were going poorly. The last Spokane mayor re-elected was David Rodgers in 1973, a year before the city saw unprecedented investment as it prepared for Expo ‘74. Condon has made the case that Spokane is having a second expo. Riverfront Park, first built to accommodate the event, is getting a facelift. Spokane is going to get a medical school and a pedestrian bridge in the University District. Incomes are up. Money is flowing into downtown. When Condon entered office, the nation was a middle of a recession. Times are better now. Condon immediately began an aggressive fundraising campaign. In 2012 (the year after his election), he received 292 campaign donations totaling nearly $45,000 more than his opponent would raise. Fast-forward to now, he raised $391,461.50, more than 10 times than that of Lichty. Council President Ben Stuckart opted to run for re-election rather than challenge the mayor, citing how much he was getting done. State Rep. Marcus Riccelli also bowed out leaving Shar Lichty, a progressive political organizer with almost no name recognition who has never held elected office nor run any large organization. Early in her campaign, Lichty aligned herself closely with the Worker Bill of Rights, a far-reaching measure that would send the effective minimum wage for larger businesses over $17 an hour, grant workers protections, and limit the constitutional rights of some businesses. Even left-leaning politicians like Ben Stuckart "vehemently opposed" the measure, calling it unconstitutional, and warning it would "open the litigation floodgates." By October, Lichty's enthusiasm for the Worker Bill of Rights seemed to have waned, but she didn't change course. "I had supported the Worker Bill of Rights before I decided to run for office, and so I wasn't going to change that endorsement when I decided to run for office, regardless of how controversial that issue is right now," she said in a KSPS debate when asked about the issue. "So that's me standing by my issue. It's a citizen's initiative. The volunteer citizens went out and collected the signatures that were needed to get it on the ballot, and the voters will decide." Lichty was quick to fire off a press release when she saw vulnerability with Condon. When Condon tried to block the Worker Bill of Rights from appearing on the ballot, Lichty accused the mayor of being too close with the business community. When a deal promised to Spokane hotelier Walt Worthy fell through after the city council balked, Lichty made the same criticism. When the Office of Police Ombudsman was vacant for the better part of a year and the selection committee generated a questionable list of ombudsman replacements, Lichty accused Condon of not following through on a key campaign process. But none of these attacks stuck enough to compensate for Lichty’s other weaknesses, and the mayor’s considerable advantages.